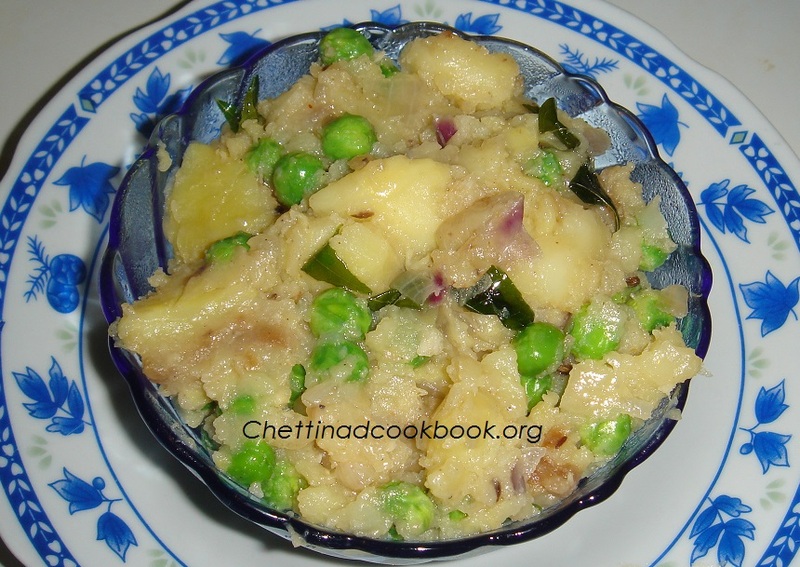 Potato is all time favourite for children,even we prefer to have these types of mild side dishes with Kara kuzhambu or Vathal kuzhambu. Most of us stock potatoes in the kitchen, because,it helps us in many ways for cooking,enhances taste and also it can be stored for weeks or months .Boiled Potato simply with Pepper and salt gives great taste. 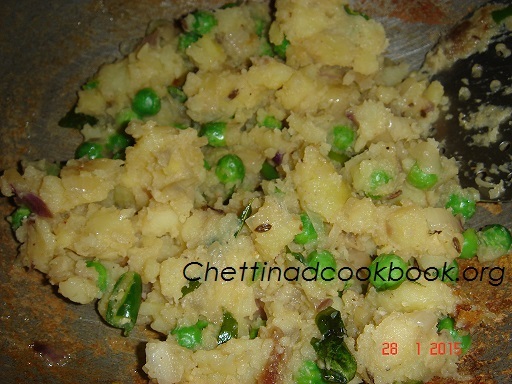 This podimas is very mild dish,can be served as side dish or can be stuffed in Roti,Chappati and Dosa .Ginger garlic,Fennel and Cumin seeds added in this Podimas reduces Gastric problem caused by Potato.Boiled Potato is good and better than fried potatoes.Boiled Potato simply with Pepper and salt gives great taste. Pepper can be sprinkled finally according to your choice. Boil potato for 2 whistle,peel skin mash coarsely. Heat wide pan with 2 tbsp of oil season with above mentioned ingredients. Add chopped Onion and Curry leaves,saute for a while. Add Ginger Garlic paste and Salt saute until raw smell changes. 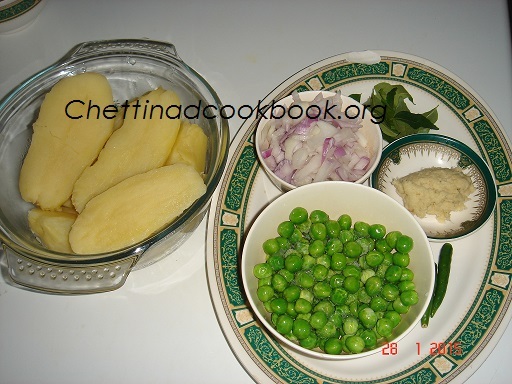 Now add Peas and stir it well to half cooked. Add chopped coriander mix and transfer to a serving dish ,serve with rice spicy gravy or with Roti.